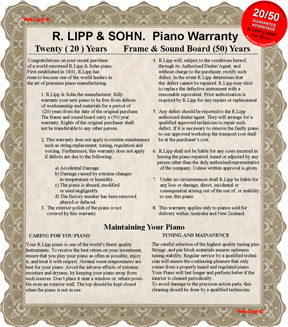 All R. Lipp & Sohn Upright and Grand Pianos come with a 20 Year Factory Warranty. Plus a 50 Year Warranty on Frame and Soundboard. years of trouble free musical enjoyment.